Seafood Soup - served with bread. Tomato based soup made from our own fish stock with fresh herbs, mussels, cockles and queen scallops. Vegan / Vegetarian dishes created to order. 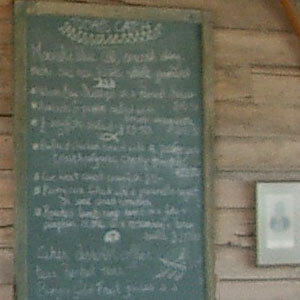 Daily blackboard of our Chefs desserts.